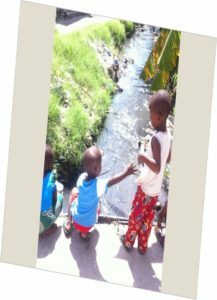 The project aims at sub-coordinating the implementation of Decentralized Sanitation Systems “DEWATS” project that aim at improving sanitation and supporting inclusive and livable cities in Africa. This will be achieved through empowerment of local entrepreneur by providing them with start-up loans, technology transfer, and infrastructure to solve community sanitation challenges in financially sustainable way in Dar Es Salaam. The model uses locally manufactured latrine emptying tools, simple transportation, a decentralized sludge treatment/transfer site tools to provide accessible pro-poor latrine emptying services. In successfully scaling-up this project will create direct health, social, environmental and economic benefits for 54,000 to 90,000 beneficiaries in challenging unserved communities. IHI is involved in monitoring the progress and evaluating the desired output and impact project, as well as in disseminating information to the targeted communities.